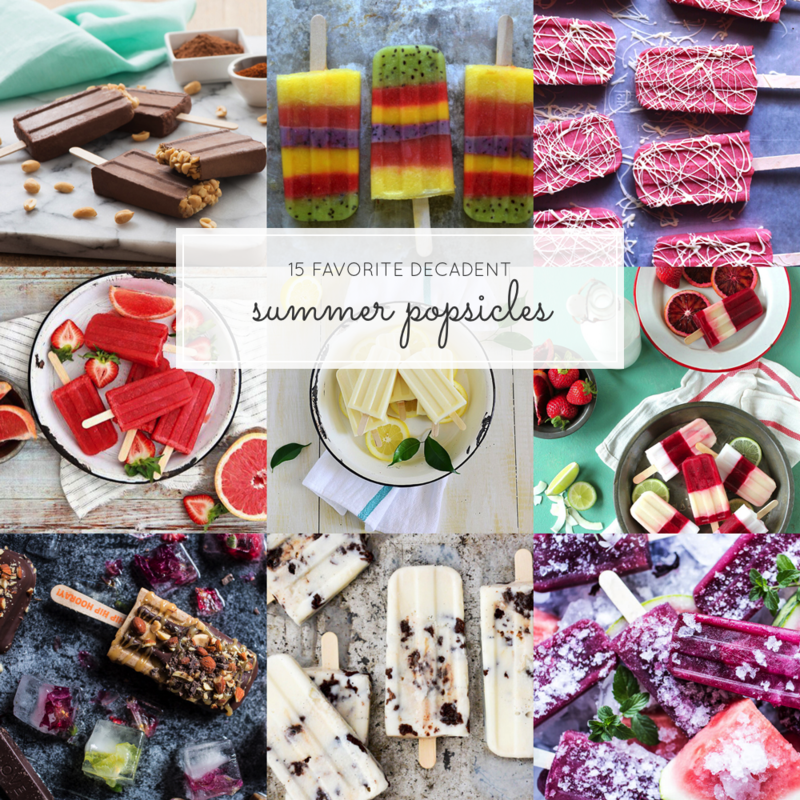 15 Favorite Decadent Summer Dessert Popsicles | Glitter, Inc. I love popsicles of all shapes and sizes. And though the simplest of popsicles are often my favorite (take these two-ingredient strawberry popsicles, for instance), the trend in uber fancy, decadent popsicles has really stolen my heart. 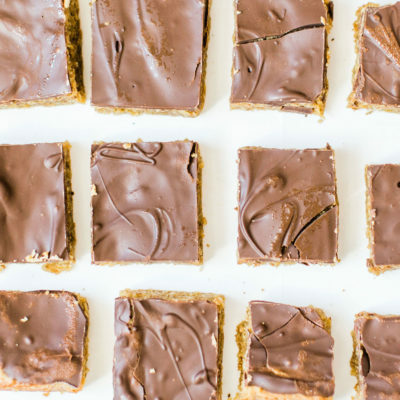 Chocolate-dipped, filled with coffee or liqueur or cheesecake, laced with cookies and graham cracker crumbs … these are my kind of popsicles. 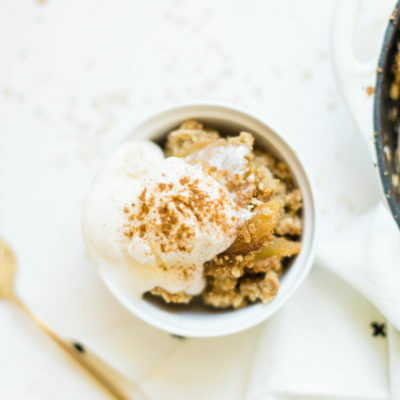 I mean, it is Summer after all, so why not treat yo’self to the funkiest frozen desserts around? 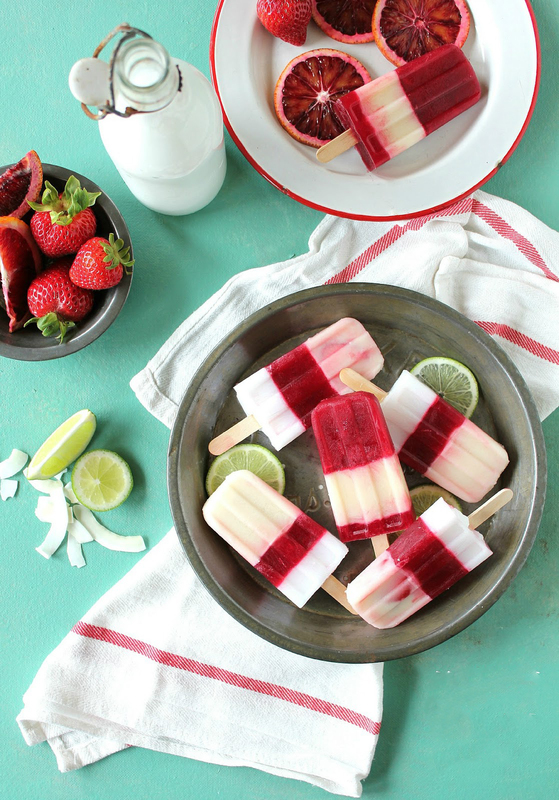 Strawberry White Chocolate Popsicles via Tutti Dolci. 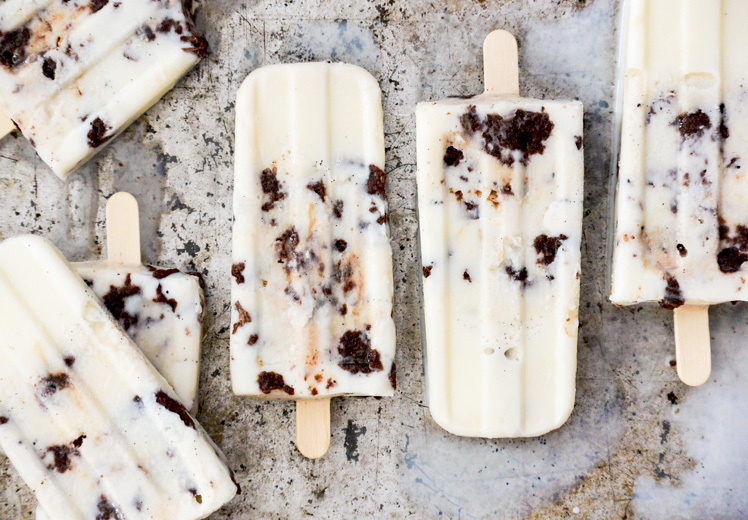 Gluten-Free Vanilla Cream Popsicles with Brownie-Toffee Crunch via Floating Kitchen. 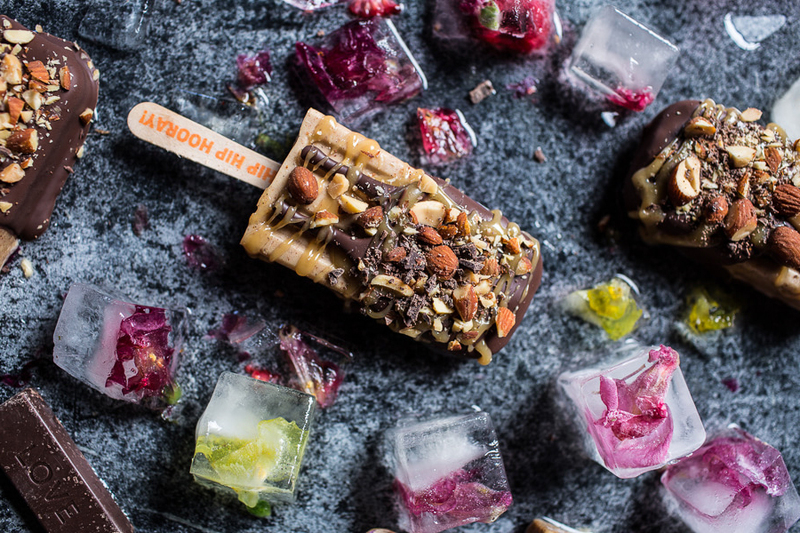 Chili Chocolate Peanut Butter Popsicles via Charmaine Broughton. 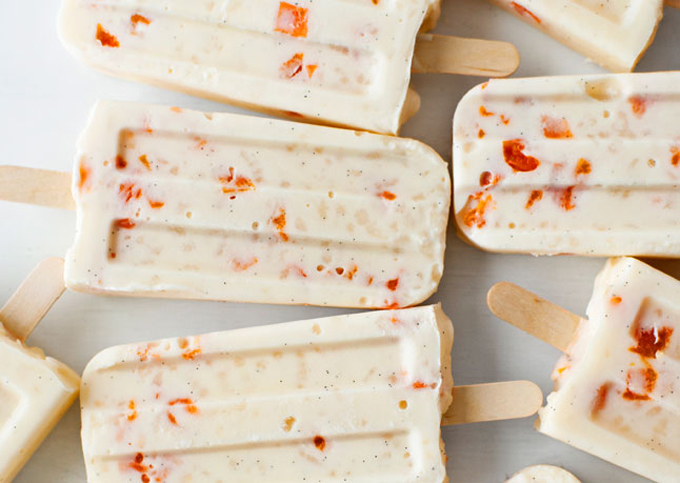 Apricot Rice Pudding Popsicles via Bon Appetit. 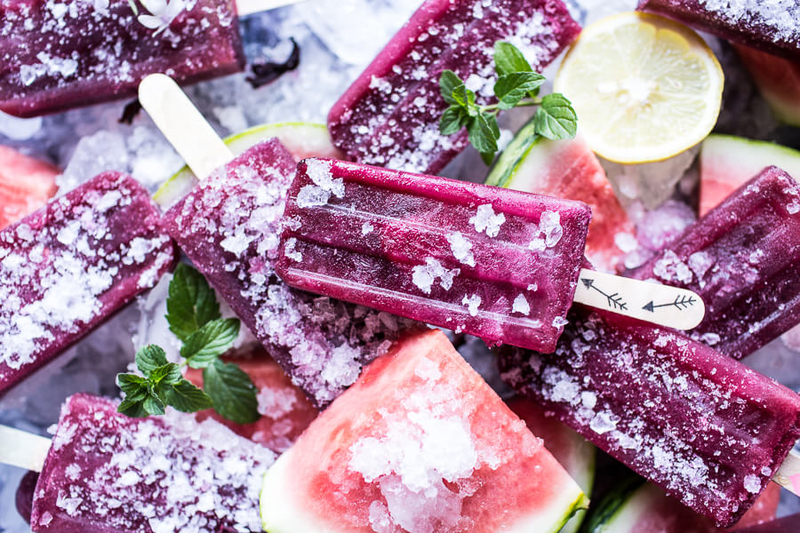 Ginger, Hibiscus and Minty Watermelon Popsicles via Half Baked Harvest. 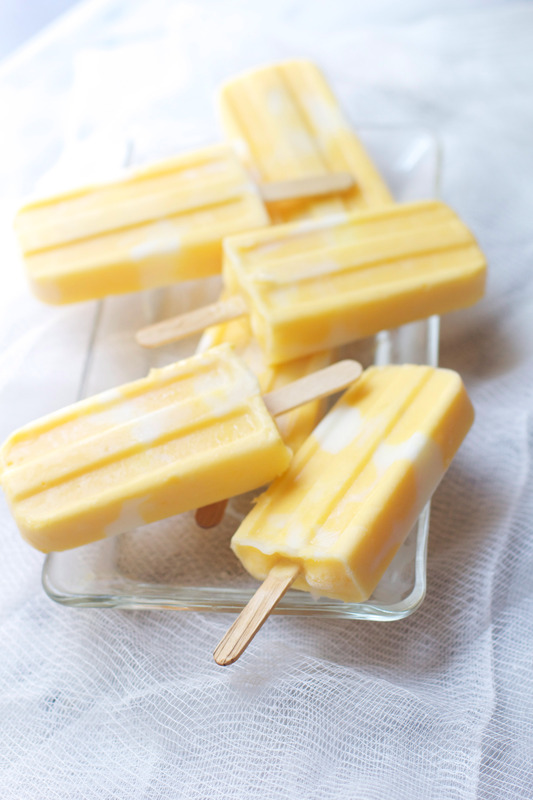 Mango Lassi Popsicles via The Baker Chick. 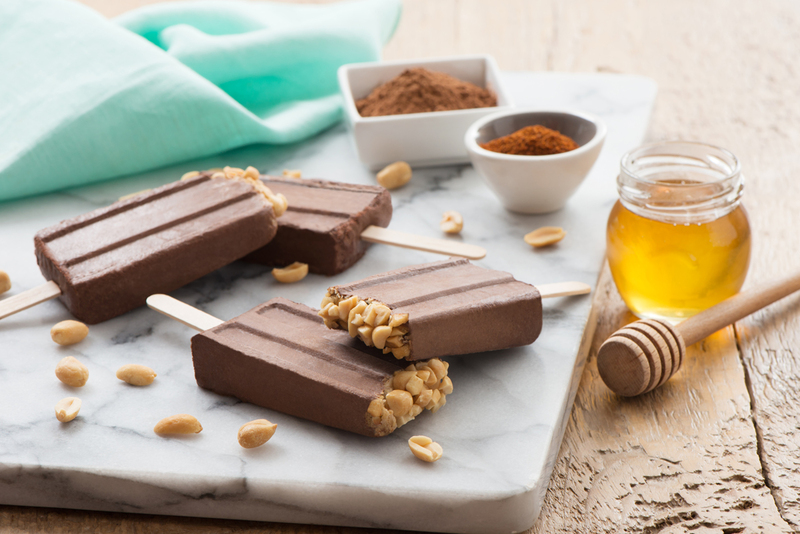 Salted Chocolate Dipped Banana Almond Pops with Malted Coconut Honey via Half Baked Harvest. 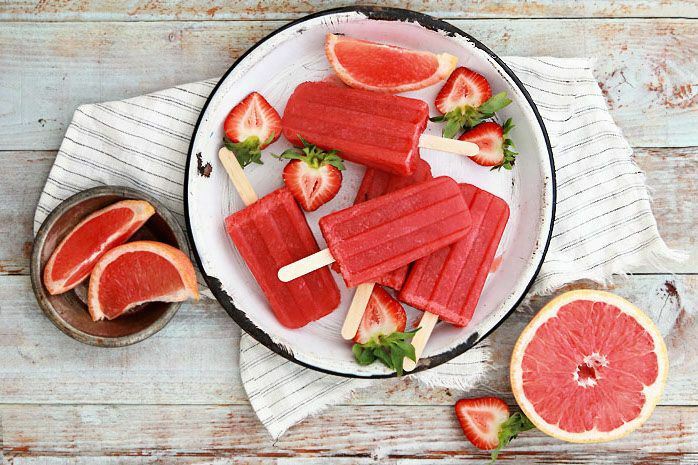 Grapefruit And Strawberry Greyhound Poptails (a.k.a., boozy popsicles) via Endless Simmer. 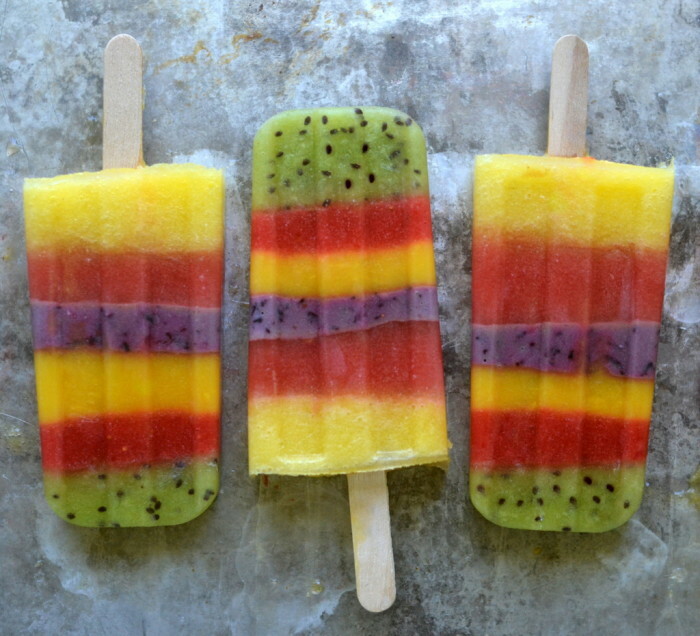 Whole Fruit Striped Popsicles via The View From Great Island. 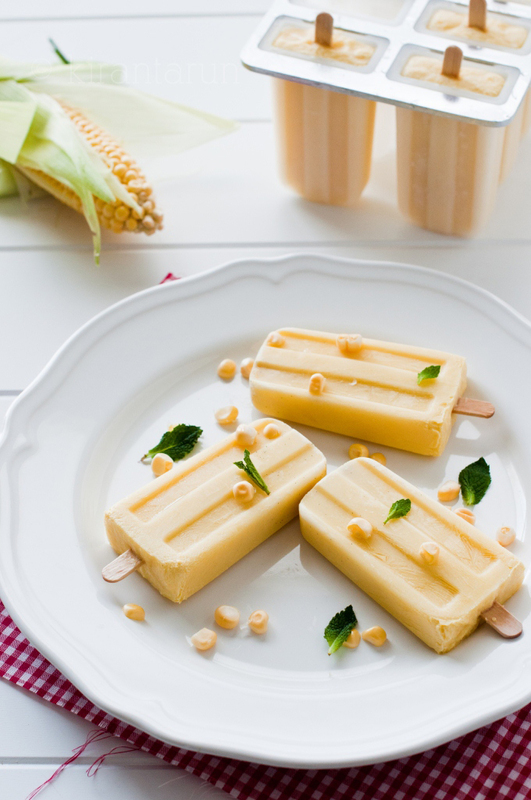 Roasted Sweet Corn and Coconut Milk Popsicles via Kiran Tarun. 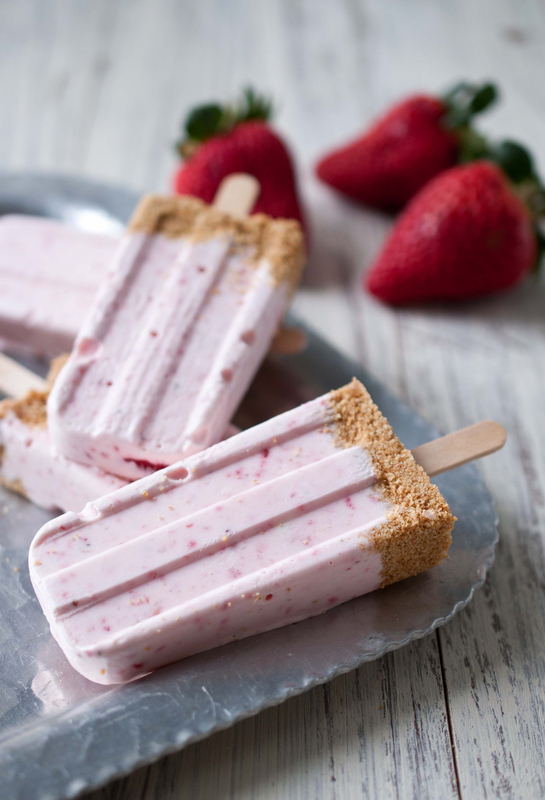 Strawberry Cheesecake Popsicles via Domestic Fits. 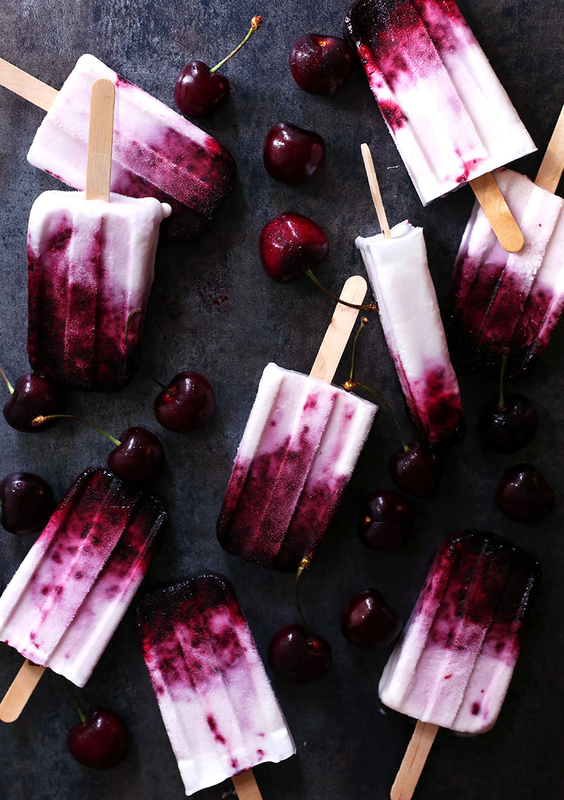 Bing cherry Amaretto Popsicles via Tutti Dolci. 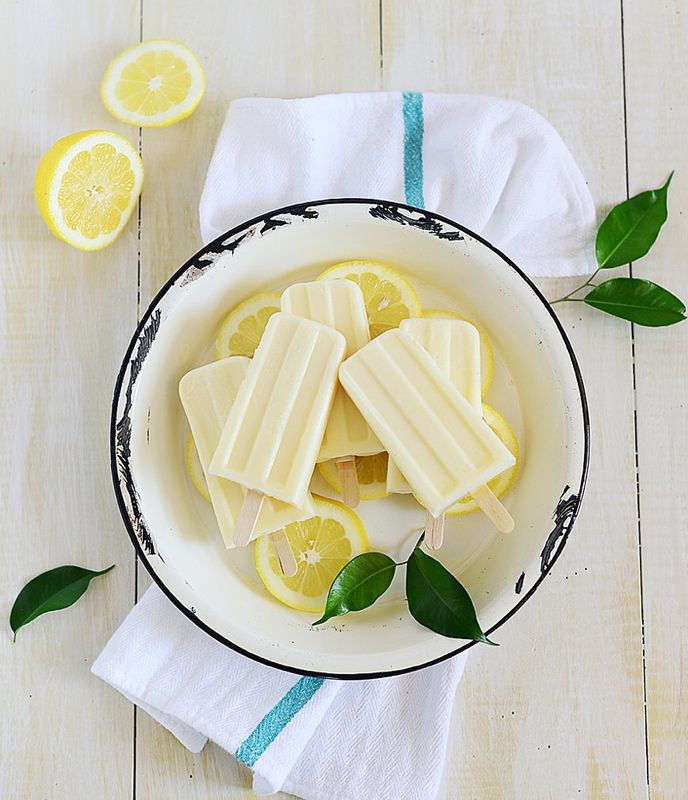 Dulce De Leche Lemon Popsicles via Muy Delish. 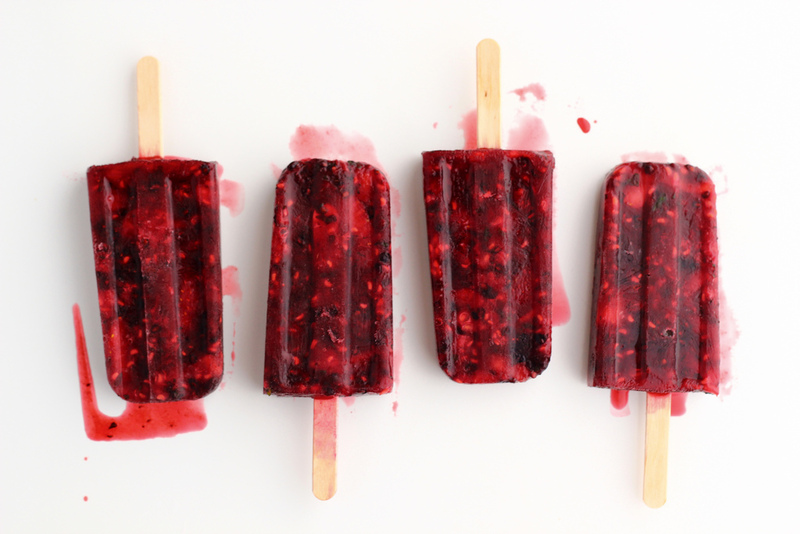 Summer Berry and Mint Ice Pops via The Year in Food. 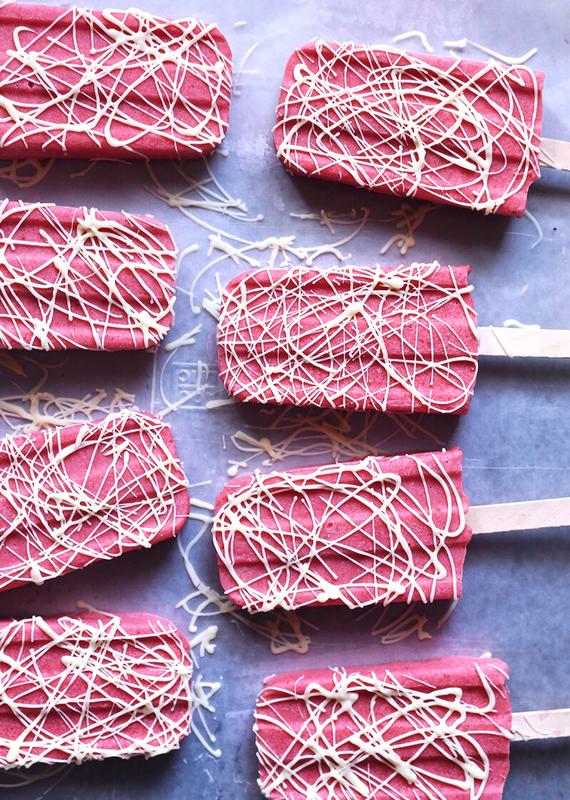 Blood Orange and Coconut Creamsicles via Pink Patisserie. 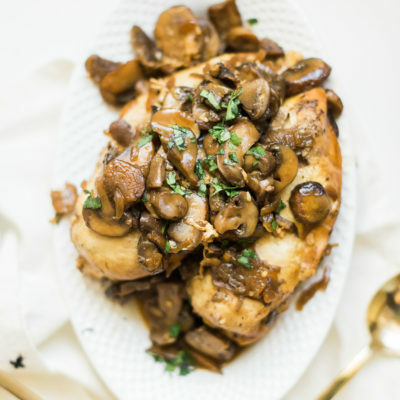 Any a “must try” for you? This is such an awesome round-up. I’m all about the popsicles right now. Thanks for including me! Have a great weekend!